James Ferguson, one of my dear Muslim-Brothers: very intellectually well-appointed, and factually sound, has decide to grant us commentary of the hypocrisy of what most call American-Democracy, which has always, historically & contemporaneously, been used as a euphemism of American-Conquest. He talks about the waning reign of the Kingdom of Hawaii, which was, at her time, basically, the last sovereign nation in the Pacific. The native population at the time absolutely was not in favour in becoming a state. Hawaii became a state through a process to similar to countless other peoples who were subjugated to colonial-masters, subterfuge, pretext and force. Briefly, the actual King, himself, was overthrown by the Honolulu-Rifles, a Anglo-Protestant militia-group, when the King refused to renew the Reciprocity-Treaty. This treaty was a ‘free-trade’ agreement and had lead to a large influx of US investment in Hawaii’s sugar-plantations. The treaty also gave the US lands in what is now known Pearl-Harbor. The treaty was extremely unpopular with the locals, and when some of the natives had protested the taking of those lands by the US, they were repressed by US-Marines. The Militia established a pliable puppet king and also imposed racist polices including disenfranchising all Asians and imposing such onerous property and income restrictions on voting that the minority white population controlled 75% of the eligible votes. There was a failed counter-coup to restore the Monarchy. And when the puppet king died, his successor-daughter, Lilioukalani, upon ascension to the throne, received petitions from about 2/3 of the Native population to restore the old-order and to remove the US-Military presence from the islands. The Queen was blocked in her attempts to do so by the ‘Committee for Safety’, and eventually she was forced to resign. At which point the Committee, with the support of the Honolulu Rifles, created the ‘Provisional Government of Hawaii’ led by Stanford Dole, a white guy, to negotiate the annexation of Hawaii by the US. So yeah: not exactly a process that had the support of the majority of the native population, but I guess it did have the majority of the voting population. Additionally, you find antagonism today, because it is perceived that that manifest injustice still has a real effect to this day. For example, the Caribbean is littered with islands where the descendants of slave masters still dominate the islands economically, and thus politically. The most extreme example is probably Bermuda, where the old families still control the best land, dominate all the major companies, marry within themselves (or wealthy white outsiders), and get insider access and can thus protect and entrench their positions. The locals get fed the lie that the past is irrelevant to their current disenfranchised positions and that if they would just world harder they too could send their children to Eton. 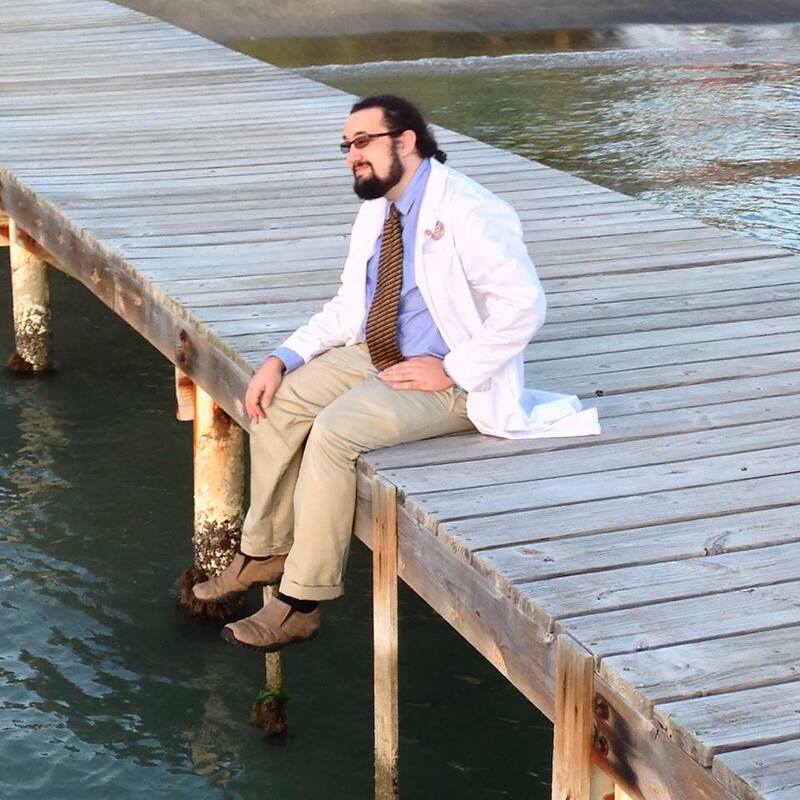 Every month I’ll be conducting a Poetic-Challenge, challenging various poets, whom I personally know/interact with, just for the sake of sharpening/improving my own poetry, general-goodwill, respect for my fellow “Brethren of the Paper & Pen”, and to just see who from among us has the best “Poetry-Skillz”…Every month, I’ll be picking a brand-new Poetic-Challenger, via Facebook/Twitter, to compete with. This month, it’s Cyrus McGoldrick. Next month, it could very well be anyone of you. So, just be prepared, with some fresh-rhymes. …We can no longer afford to pretend. …We pursue warmth which takes work. …Each of us wants a companion who’ll never part. …However, we must make a Summer out of every Winter, protecting our hearts from a freezing-tempest. …We all need someone to keep us from cold distress. …So, think about the one who keeps you warm during the heavy Snow-Fall. Born to Elijah Poole & Clara Evans, in 1933, Wallace Poole, was the son of the 1st-family of the Nation of Islam: his father was the Supreme-Minister & Leader of the NOI, his mother was the Leader of the educational institutions of the NOI, thus all of the institutions of learning in the NOI which are now all named Sister Clara Muhammad Schools. But, there was a very distinct problem, these People were not Muslims…not only Non-Muslims, but, those who purposely called others to worship other than Allah, to ascribe false-qualities to Allah, to follow someone who claimed Prophethood, etc. Being one of the children of the leader of the NOI meant that he had a lot to live-up to: his father being the inheritor of the leadership of the NOI, after the disappearance of its founder, Wali Farad (AKA Master Fard Muhammad). 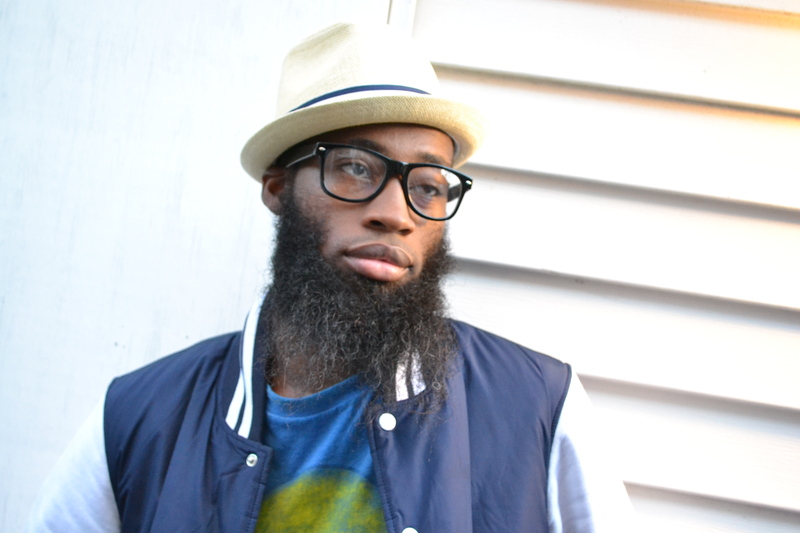 Wali Farad was a self-proclaimed deity on Earth, who taught his fellowship that he was Allah incarnate, which is still the key staple belief of the NOI till this very day, and is still contained within their signature literature, such as “Message to the Black Man”, “The Final Call Newspaper”, etc. He left the leadership of the NOI to Elijah, mainly because he was on the run, as a result of being implicated in the murder of Timothy Drew, the founder of the Moorish Science Temple of North America, commonly known as simply the Moorish Scinece Temple. The Moorish Science Temple was a prelude to the NOI, in regards to its many pseudo Islamic teachings, which many of these (pseudo) teachings actually carried over to become the teachings of the NOI. From the inception of the NOI, in 1930, C.E. until the 1960’s, C.E., the power-structure of the NOI was pretty much linear & unshaken, meaning, that people didn’t question, challenge the authority of Elijah Poole as supreme commander of the NOI, someone viewed as infallible, and believed by those who followed him as being divinely-guided. Sadly, he wasn’t divinely-guided, rather devilishly-guided: he, based upon instructions from Wali Farad, used the already shady beliefs of Christianity, concerning the false-divinity of Jesus-Christ (Peace be upon him), manipulated the frustration that most African-Americans felt towards being viewed & treated as second-class Human beings (and in certain parts of the U.S., not being treated as Human beings on any level). This is the reason why so many African-Americans joined the NOI, because their ethnic self-worth & self-esteem was so degenerate, as a direct-result of being systematically oppressed in the U.S., for the past 3-centuries, that, it was very easy for them to accept the false theology of Black-People being inherently divine, while White-People were inherently Evil. But, then, it was also pathetically ironic that the NOI was teaching Black-People that the Black-Man was a “god” & the White-Man was a “devil”, when they were also taught that Wali Farad was Allah incarnate, and he was not only Non-Black, but, he was actually ½-White, and he looked “White”. So, it’s easy to see that the same racial (covert, subliminal, etc.) manipulative tactics used in Christianity, where in the Bible Jesus, accused of being the “Son” of Allah, as well as Allah incarnate, is described as having “Hair like Wool & Feet the color of Burnt-Brass”, yet, almost always, even in the present-day, he’s depicted as a White-Man, with typical, classic, Euro features. Unfortunately, it’s not clear as when Wallace had actually became a Muslim. But, what is clear is that his own father, Elijah Poole, had hired a Palestinian Professor, named Jamal Dieb, who was a teacher in the Muhammad University of Islam, and, it’s very likely that this person could have been a personal religious instructor for Wallace and his other siblings, as well. During the 1950’s, Wallace became a Minister of the NOI, serving in Philadelphia, Pa, until he was sentenced to Prison, for refusing to enter the U.S.-Military’s Selective-Service, in 1961. In 1963, Wallace was released, and being very close with Malcolm Little (AKA Malcolm X), the then National-Spokesman for the NOI, the years that followed ‘63 would change their lives in ways that neither of them would ever expect. Aside from being released from Prison, there were immense nation & international turmoil, which had been affecting the United States, directly: American involvement in the Vietnam-War was in full-swing, President John Fitzgerald Kennedy was waging war against the Soviet-Union, Communist-Cuba, as well as trying to find a way for America out of the Vietnam conflict, while also fighting the war-at-home, against the Federal-Reserve, the CIA, the Mafia, the Billionaire titans of American-Industry, and all of these things lead directly to his dreadful assassination. Unfortunately, it’s not clear as when Wallace had actually became a Muslim. But, what is clear is that his own father, Elijah Poole, had hired a Palestinian Professor, named Jamal Dieb, who was a teacher in the Muhammad University of Islam, and, it’s very likely that this person could have been a personal religious instructor for Wallace and his other siblings, as well. 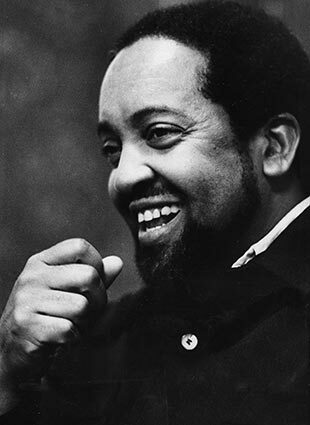 During the 1950’s, Wallace became a Minister of the NOI, serving in Philadelphia, Pa, until he was sentenced to Prison, for refusing to enter the U.S.-Military’s Selective-Service, in 1961. In 1963, Wallace was released, and being very close with Malcolm Little (AKA Malcolm X), the then National-Spokesman for the NOI, the years that followed ‘63 would change their lives in ways that neither of them would ever expect. Aside from being released from Prison, there were immense nation & international turmoil, which had been affecting the United States, directly: American involvement in the Vietnam-War was in full-swing, President John Fitzgerald Kennedy was waging war against the Soviet-Union, Communist-Cuba, as well as trying to find a way for America out of the Vietnam conflict, while also fighting the war-at-home, against the Federal-Reserve, the CIA, the Mafia, the Billionaire titans of American-Industry, and all of these things lead directly to his dreadful assassination. Now, in 1963, there was no Facebook or Twitter, no YouTube, no instant-replay, no Instagram, etc. So, when the death of JFK was announced, the American-People & the World just believed what was initially play on the airwaves, that a lone-gunman did it. But, Malcolm Little was so much smarter than that. However, Elijah had decided to mention an edict, to all of his Ministers, to not speak to the Media/Press, under any circumstances, concerning the death of JFK. Malcolm decided to not obey. His famous “Chickens Coming Home to Roost”, describing that the assassination of JFK was basically a sign of Providence, that it was something that was long overdue, as a result of the mass oppression that White-America had inflicted upon others not of them, that they were basically getting a taste of their own medicine. And, of course, because JFK, popularity wise, was the most beloved U.S.-President of that era, the NOI had received a lot of negative backlash because of Malcolm’s statements. As a result of that, he was personally summoned to Chicago, by Elijah & stripped of his status as National-Spokesman, first for 3-months, then permanently, for breaking-rank on such a hotbed issue, such as the death of the U.S.-President. At that moment, Malcolm began to realize the hypocrisy seeping out of the walled facade of the NOI, because, if he had been allowed to teach & say all of the hate-speech against Whites that he had been doing, ever since he joined the NOI, one White-Man shouldn’t get special privilege, just because he was a U.S.-President. Also, while he was vocally-silenced, there surfaced within the ranks of the NOI that Elijah had committed Adultery, with several NOI-Secretaries. These were just rumors, at first, but, within the closed-door corridors of power in the NOI, this was common-knowledge, and Wallace had confided in Malcolm, concerning these rumors & thus confirmed what the rumors were: Elijah had adulterous relations with his secretaries & many illegitimate-children were produced as a result of this. This obviously had negative-effects upon both Wallace & Malcolm: for Malcolm, having his mentor, the one he had thought had taken him from darkness to light was just as fraudulent as the White-Man that he was taught to hate, as well as other Blacks who weren’t down with the program of the NOI; and, as for Wallace, he had to deal with the fact that his own father was taking advantage of these women, while married to his mother. In fact, it was very brave for him to even reveal this heart-breaking information to Malcolm in the 1st-place. 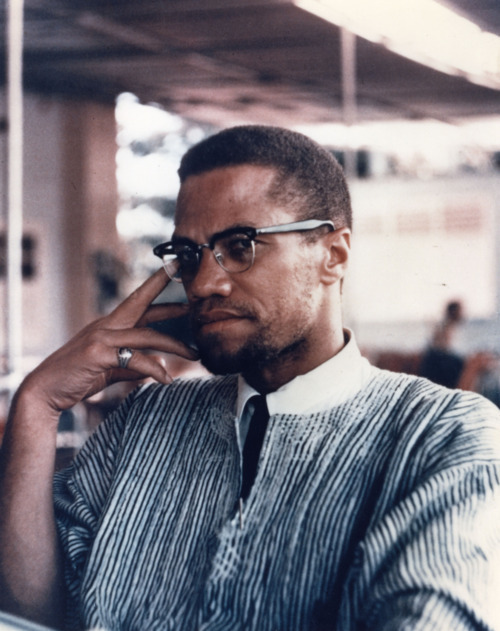 So, from 1963-1965, C. E. there was a a lot of tension & dissent within the NOI: Malcolm had become a Muslim, at the strong influence of Wallace himself, made Hajj/Pilgrimage to al-Makkah, in present-day Saudi Arabia, been assassinated himself, by members of the notorious “Ring-of-Fire”, the personal-hitmen of the NOI, more accurately the personal-assassins of Elijah Poole, at the time. From the death of Malcolm, to the death of Elijah, which was literally a 10-year time-span, the NOI was pathetically declining, mainly because of the ill-will against the NOI for being largely believed for being responsible for the death of Malcolm Little, as well as more of their members actually leaving the NOI for Islam, as well as the NOI losing its general influence on the Black-Community, out of being not as relevant, which was a result of many factors: Poverty, Drug-Abuse, Crime, the Black-Panthers, etc. In 1975, C.E. something happened, something amazing, something no one could’ve ever foreseen: Elijah Poole dies, his son Wallace takes command of the NOI & brings that entire community to Islam. Now, prior to ‘75, Wallace had made a lot of enemies within the corridors of power in the NOI for a lot of reasons; he was also thrown-out of the NOI, on several occasions, before finally being allowed back, before his father’s death. He made it very clear to his community that Wali Farad is not Allah, and his father, Elijah Poole was never a Recipient-of-Revelation (Prophet, Messenger, etc.). In the later part of the decade, he changed the entire structure of the NOI, and had even changing its name to AMM (American Muslim Mission), then to ASM (American Society of Muslims). He would eventually step-down as leader of the ASM, in the late 1980’s. 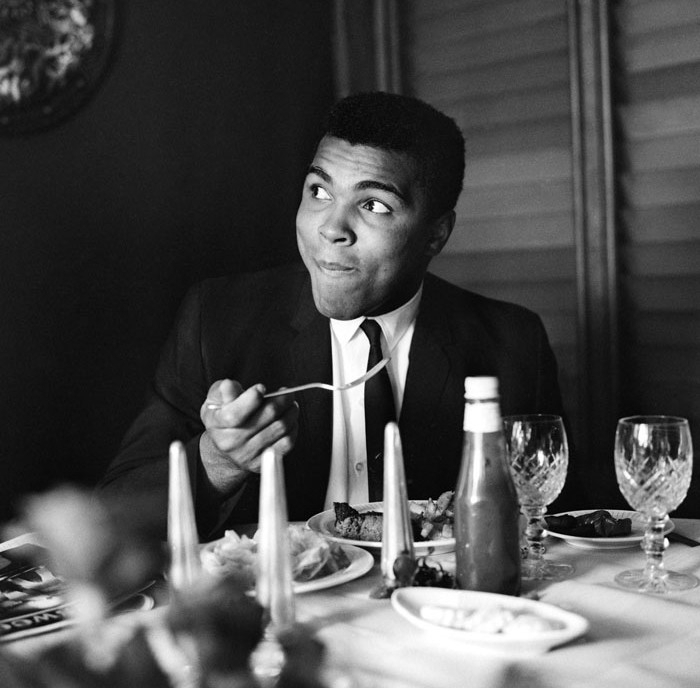 Cassius Clay (AKA Muhammad Ali), one of the most well-known, loved, respected Professional-Boxers of all-time, joined the NOI very early in his boxing-career, was actually professionally managed by Malcolm Little. He then accepted Islam in the 1970’s under the leadership of Wallace Poole. He is one of the most visible personalities of Islam in the Western-Hemisphere that the World has ever known. 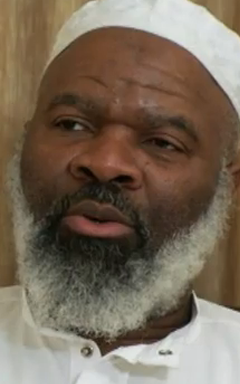 Jeffrey Kearse (AKA Siraj Wahhaj), one of the most premier Imams/Muslim-Leaders in the Western-Hemisphere: a Founding-Member of Masjid at-Taqwa, in Bedford-Stuyvesant, in Brooklyn, New York City in 1981, C.E. He was its Founding-Imam…internationally known for lecturing & teaching Islam: he, along with many others, formed their own community, thus establishing Masjid at-Taqwa, one of the most famous Mosques in the Western-Hemisphere, after accepting Islam under the leadership of Wallace Poole. 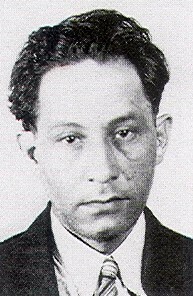 Benjamin Goodman Bryant (AKA Benjamin Karim), a former Assistant-Minister of Muslim Mosque, Inc., a Mosque founded by Malcolm Little, now known as MIB (Mosque of Islamic Brotherhood), in New York City, as well as an authoritative biographer of the life of Malcolm Little, accepted Islam. 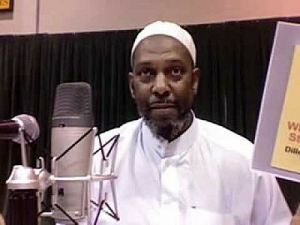 David C. White, Jr. (AKA Dawud Adib) an early forerunner-leader of the Salafi-Movement in the Western-Hemisphere, a Sectarian-Group, was himself, once, a member of the NOI & became a Muslim, under the leadership of Wallace Poole. He, as well as many others, left his community & actually for a time was a part of the Masjid at-Taqwa community in New York. However, he also left that community, and joined the Salafi-Movement, becoming one of its most influential Propagators in the Western-Hemisphere. From the 1980’s till his death in 2008, Wallace Poole exerted a lot of energy ensuring that his community were the most progressive Muslim-Community in the Western-Hemisphere, which it was. Unfortunately, as a result of Louis Wolcott (AKA Louis Farrakhan) breaking-off from Wallace & restarting the NOI, basically, picking-up where Elijah Poole had left-off in death, several property disputes between himself & Wallace ensued, which resulted in court-appearances, as well as several settlement disputes among the illegitimate children of Elijah Poole against Wallace, which also saw their days in court. However, Wallace still managed to be strong & take his community to the next level. He forfeited a lot of personal-property belonging to his father & the former NOI, he gave-up so many things which were his own rightful claims, and that actually shows the extent of an individual’s integrity & sincerity. 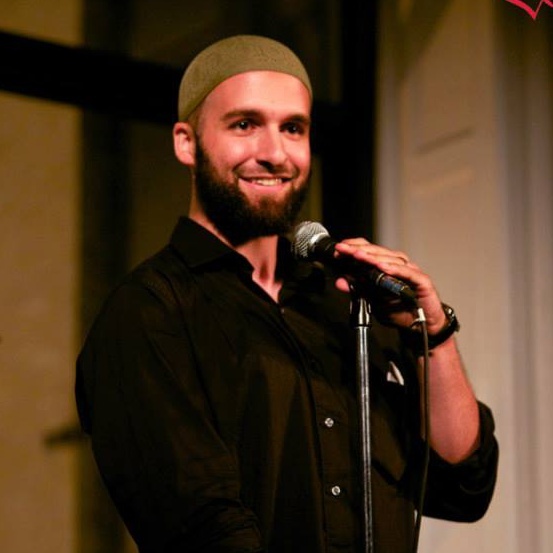 He also spent much time authoring, lecturing, establishing non-profits, building bridges between various Muslim-Communities, as well as other religious groups & organizations, etc. One of his main goals was to fully conform & assimilate his community with the rest of the Muslim-World, that they be fully a part of the greater global Muslim landscape. Now, I won’t pretend that he got everything right, because there were a lot of things that he & his community fell-short of. I’ll explain: while being absolutely correct, in principle, regarding the necessity of his community to serve as a precedent for Indigenous-Muslims in the Western-Hemisphere to be independent of influences that were not ideally Islamic, from Muslims of other cultures, nations, etc., to have a definitive presence of Islam in the West, that directly reflects those Muslims native to the West, it resulted, however, in a severe distrust of Muslims from other places, and also, a mistrust of accepting knowledge from Muslims of different places. The necessity to be abstract of foreign influences was a need, definitely. But, it morphed into somewhat of a pathology among many of his followers, that they weren’t very privy to accepting Islamic-Knowledge from Non-Indigenous Muslims, which largely still affect many members of his community till this very day. It’s very understandable as to how this came about: African-Americans, as a People were & still are very used to having People coming from different places & dupping us, as in the most classic case of Wali Farad, tricking untold thousands of African-Americans into worshipping him as a god, literally, which further degenerated the spiritual-integrity of African-Americans, more than even Christianity had done, in many respects.